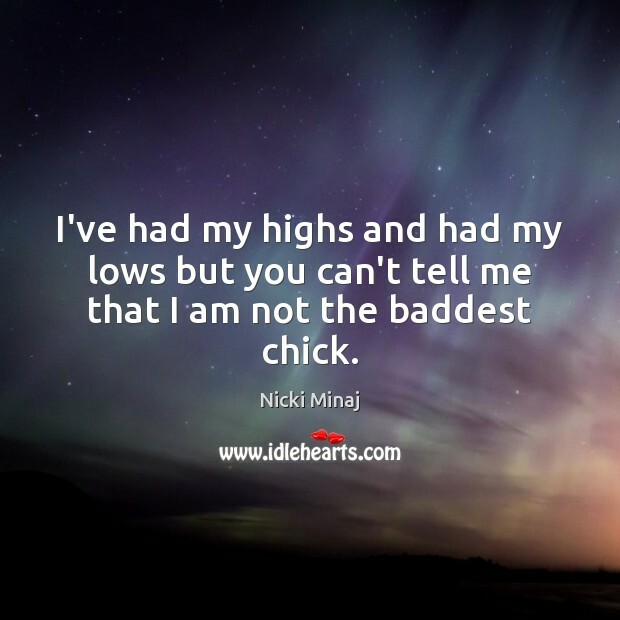 Quotations about Baddest Chick. Quotes to stimulate mind and drive action! Use the words and quote images to feed your brain inspiring things daily! I've had my highs and had my lows but you can't tell me that I am not the baddest chick. I’ve had my highs and had my lows but you can’t tell me that I am not the baddest chick.